From London, Kadamba Kanana Maharaja flew via Amsterdam to India. He reached the Delhi airport early on Friday morning (22 February). 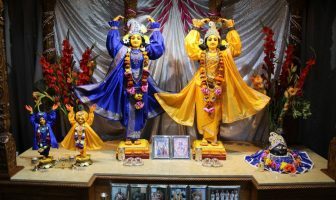 After a few hours of rest at the Delhi temple, he then made his way to the Krsna Balarama Mandir in Vrndavan which was approximately 150 km away. Maharaja entered a low pace program once again with just an occasional participation in the 24-hour kirtan. His first engagement was on Nityananda Trayodasi, the glorious appearance day of Lord Nityananda. Sharing the morning class with Devamrita Maharaja, Kadamba Kanana Maharaja gave a full-color version of the deliverance of the two sinners Jagai and Madhai. Spicing up his narration with details from the Caitanya Bhagavat, this well-known story got yet a new flair. Later that day, a maha-abhiseka ceremony was held for the utsava (festival) deities of Gaura Nitai. After the temple president, Panchagauda Prabhu, lifted the mood with fiery kirtan, Maharaja led another kirtan at full-steam for the pleasure of the Lords. Later in his stay, Maharaja gave a three-day seminar on the Caitanya Caritamrita, especially focusing on the “Caitanya tree”, the description of Caitanya Mahaprabhu’s movement as it manifested in this world around 500 years ago. On 2nd March, the vaisnava world celebrated the appearance day of Bhaktisidhhanta Goswami Maharaja. Kadamba Kanana Maharaja presented a morning class on the glories of Bhaktisidhhanta in Hindi. 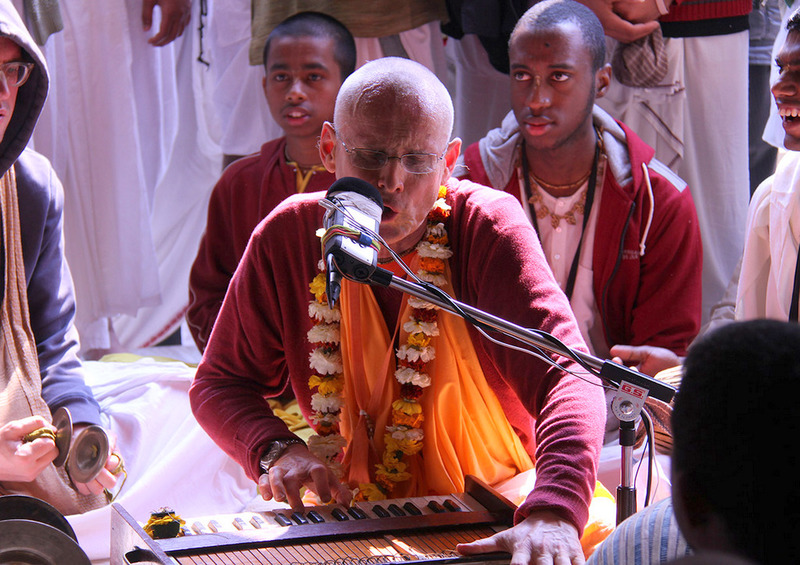 Later the same day, he addressed the young and enthusiastic students at the Gurukula. He narrated many stories and clearly pointed out the extraordinary and exalted character of His Divine Grace. 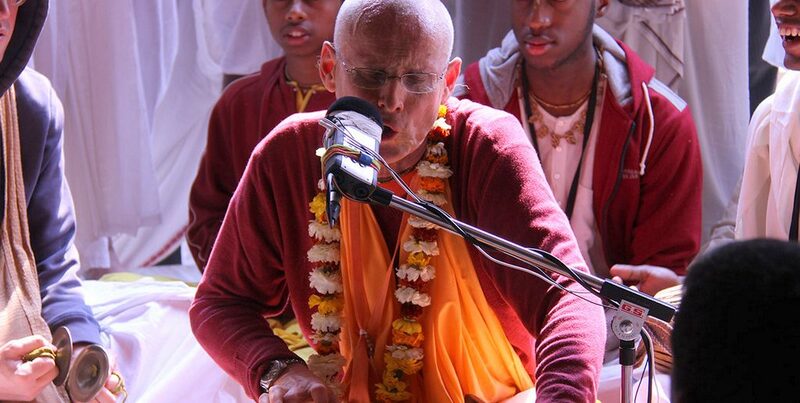 Maharaja will travel to Mayapur next, to participate in the Kirtan-mela. These are available on the ISKCON Vrndavan YouTube page. If you cannot view the slide show then click here to visit flickr! Just a reminder to check out daily darshan of Giriraja Govinda as well.